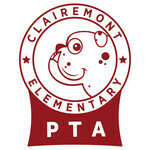 Clairemont Elementary PTA hasn't added a story. Students seek sponsorships to benefit Clairemont Elementary and compete for classroom as well as individual prizes for the most minutes read! This year we are challenging our students to read 50,000 minutes outside the classroom during this Read-a-Thon. All proceeds from the Read-a-Thon go to Clairemont and help enhance your child’s education through field trips, expeditions, the annual Alliance partnership, the Wylde Center garden initiative, teacher grants, and much, much more. Note, while the Read-a-Thon ends on 1/31/2019, sponsorships and donations will be collected through 2/7/2019! Clairemont Elementary PTA hasn't posted any updates yet. Clairemont Elementary PTA is managing the funds for this campaign.